Over 150 children have signed up to ‘1000 Books Before School’ in the first week since the program was launched by Goldfields Libraries on Friday 25 November. Children have enjoyed receiving special balloons at library storytime sessions throughout the week to celebrate the launch of the program. 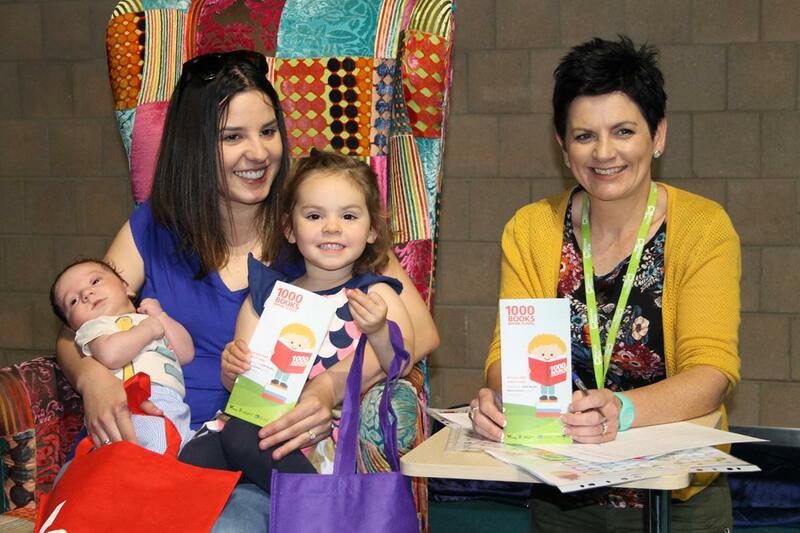 Jessie Mackin’s two children, baby Parker and two year old Emmy, were the first to sign up to this state-wide initiative through Goldfields Libraries, and are excited about embarking upon their special book reading adventure together. Goldfields Library Corporation CEO, Chris Kelly, is delighted with the response to the program in such a short space of time. “We are thrilled to have such keen interest from the community in this enriching early years literacy initiative in the program’s first week,” she said. “The program is an initiative of Public Libraries Victoria and has had far reaching success in other parts of the world. We are delighted to be able to give pre-schoolers in the Goldfields region the opportunity to get ahead before they start school, and develop a life-long love of books and reading,” said Ms Kelly. The program is free, and children can register at any Goldfields Library. They will receive a special kit which includes reading charts and stickers, with a number of milestone rewards to keep up the enthusiasm along the way. Reading 1000 books might sound arduous to some, but if built into a child’s daily routine, it becomes a fun and rewarding part of the day to spend together. Picture books only take 5-10 minutes to read, and if three are read every day, 1000 books can be achieved in less than one year!